Schreffler did not specify the particular threats, citing operational security, but in April 2018 the commander of U.S. Special Operations Command, Army Gen. Tony Thomas, said that U.S. military forces in Syria were subject to aggressive electronic attacks. Those lessons learned are making their way up the military chain of command across the military and to the Pentagon. “What we are doing is a model for every other Marine unit,” Schreffler said. But, even before stepping foot in the Middle East the Marines were prepping for the high-end fight during their predeployment work-ups in the U.S. The higher-end fight is a contingency the Marines have to be prepared for regardless of where they are headed. Schreffler said that an incident somewhere around the globe could have diverted their unit from Central Command, or an incident in CENTCOM itself could have required Marines with high-tech skills to take on a near-peer rival. Nevertheless, the Syrian warfront is host to sophisticated tech that’s testing and prepping the Corps and forcing the Marines to take heed of lessons learned during the Cold War. “A lot of what’s old is new again," Schreffler said. The region is littered with a number of adversarial drones that range from commercial off the shelf quadcopters to larger military attack and surveillance craft. One such drone is the Iranian Shahid-129. 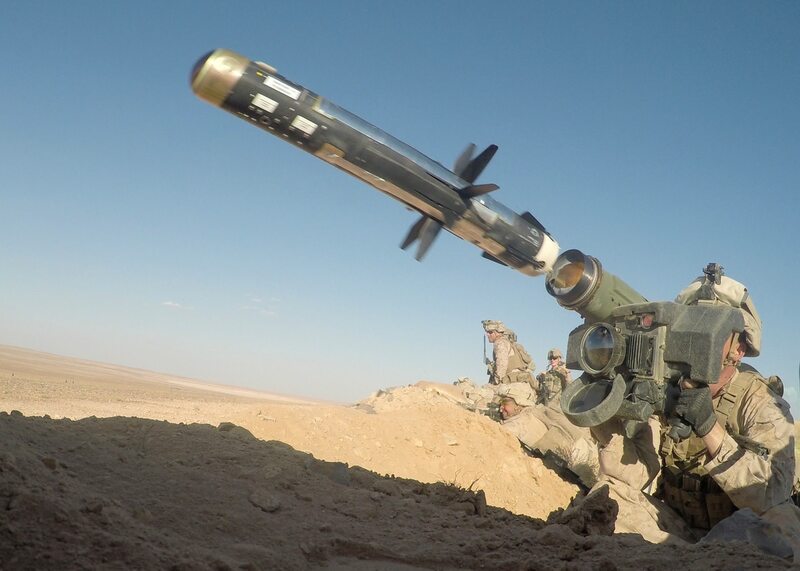 The U.S. military already has had an encounter with that drone, having shot down two of them in 2017 near the small U.S. military garrison at Tanf located near the Iraq-Syria border. In one of those instances, the enemy drone dropped a dud munition near coalition and partner forces. In the CENTCOM region, Marines already are operating similar to this concept. Schreffler’s Marines were spread across three war zones in Iraq, Syria and Afghanistan. 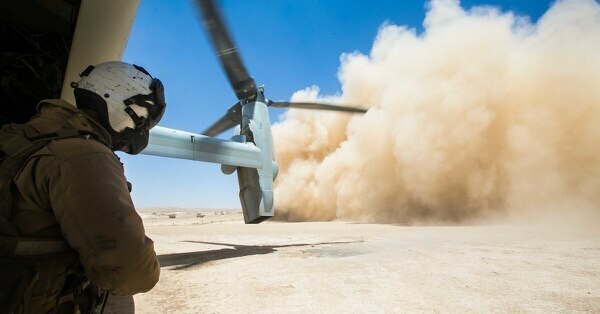 The deployment’s operations officer Lt. Col. Michael McFerron told reporters that an operation near the Tanf garrison in September 2018 was a narrow view example of the EABO concept. Following provocations by Russian forces to breach a 55-km deconfliction bubble around the Tanf garrison, which houses a small group of American forces training anti-ISIS fighters, a company of Marines were rushed to re-enforce the area, where they conducted live fire exercises over several days and then withdrew. The operation required intermediate staging areas, a rapid timeline to insert forces and logistical plans to move troops and recover that force, McFerron said. Syria is not the only battlefield where the Corps is prepping its force for modern war. In Afghanistan, Marines in Helmand province are learning how to manage and control larger classes of drones like the MQ-9 Reaper, as the force awaits its large-scale futuristic MUX drone.